The weekend of St. Patrick’s Day is always an agitating time for me. Everybody busts out their green t-shirts and shamrocks, businesses whip up their green beer and best corn beef and cabbage. And everybody, literally everybody, is Irish, even if just for the short time they are out drinking with their friends. And that’s fine. I went out. The problem is St. Patrick’s Day distorts the Irish-American experience. There is a lot of Guinness, there is a lot of “Kiss me I’m Irish” slogans, but there is very little talk of anything that may provide context. There may be some vague reference to potatoes and famine but there is absolutely no talk of English colonization and oppression. There is no talk of English selling Irish slaves. There is certainly not even a whisper of the racialization that waited the Irish as they fled the Emerald Isle for America, less due to some abstract ambition or American dream and more due to literally being forced from their homeland. The great thing is St. Patrick’s Day offers us the opportunity to discuss those things and more. By examining the experience of Irish-American’s the lie that is whiteness is not only exposed but we also see hope for developing a polycultural world where diverse peoples can live together in peace and harmony. One of the major omissions in the festivities that surround St. Patrick’s Day is the history from which Irish people are forged. 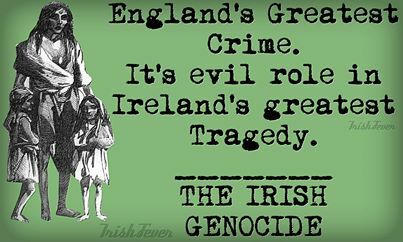 The English proceeded to implement oppressive laws and policies towards the Irish which, today, we would recognize as being distinctly racialized, not the least of these was the exploitation of Irish land and labor. The English required the Irish to give up their farming and instead use the land for grazing cattle. Ireland was to be turned into England’s private ranch and would produce the necessary amount of meat to satisfy English demand. As the English demanded more and more from Ireland many of the Irish were forced to live in desperate poverty turning to potatoes for their subsistence. These laws and policies are directly connected to why so many people were forced to flee Ireland in what we innocuously call the potato famine. This narrative purports that the Irish fled their homeland because they ran out of their main food: potatoes. It leaves the English free from all accountability. This relationship was not limited to that side of the Atlantic, but rather made the trip with the millions of Irish now in America. There were signs announcing “No Irish need apply” in fact Africans were called smoked Irish and the Irish, in turn, were called Africans turned inside out. The Irish found themselves living an “othered” existence. It was not the same otherness that marked, and continues to mark, the lives of people of color, but it was undoubtedly a racialized one; Professor David Roediger calls this position “in-between:” not white but not a person of color either. The Irish found themselves disconnected from their homeland and their culture and in a strange place where they were unwelcomed to say the least. This would continue to be the case until Irish (and other ethnic groups from Europe) organized and voted themselves into political offices, into power, and into whiteness. As Irish-Americans attempted to settle into their new land they also tried to find some sort of peace. One of the major paths to peace was to prove you were not a threat to the WASP’s way of life. Many Irish-American’s– competing for jobs and other scraps with free blacks in the North– attempted to gain advantage by investing in their whiteness. They became some of the most vicious racists. However, not all Irish or even Irish-American’s shared this disease. In Ireland the abolition movement was strong, led by Daniel O’Connell, who became friends with Frederick Douglass, Ireland continuously urged Irish-Americans to stand with the abolitionists in America. 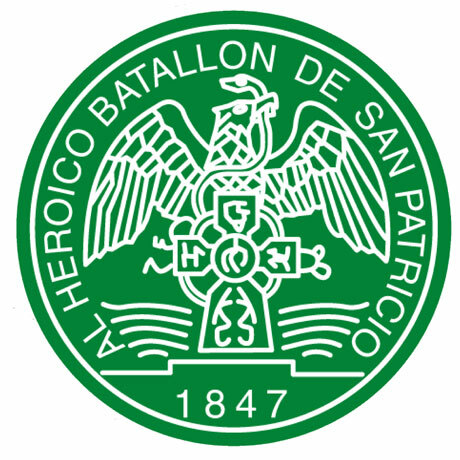 And, during the Mexican-American war a regiment of Irish-American’s known as the San Patricio’s Battalion actually defected from the US Army and fought for Mexico. The journey of Irish-Americans can be a very informative one. We see that in order to be accepted in America the Irish were forced to strategically position themselves as white. Which means that white is not a “natural” creation, it is not a race (there is, in fact, only one race) it is simply the creation of Anglo-Saxons meant to maintain and increase their own social, political, and economic power. The Irish-American experience illustrates just how fluid and flimsy the idea of white is. More importantly, it also highlights it as a result of political allegiances, as Professor David Roediger rightly points out. So, what does that mean for us Irish-Americans today?